The NT2-A carries on the tradition forged by the now legendary . 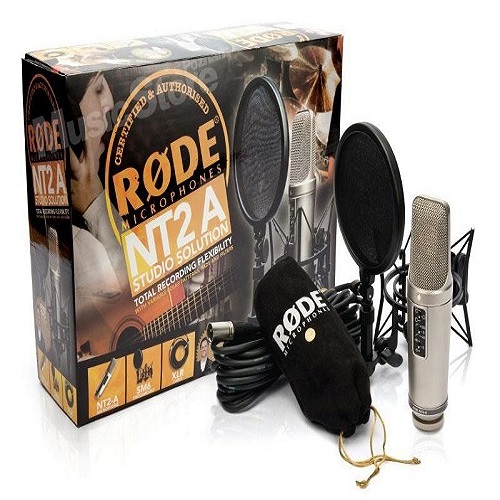 A professional large 1" capsule studio microphone incorporating three-position pick-up patterns, pad and high pass filter switches conveniently located on the mic body. The frequency and transient response of this transducer has been voiced to complement today's modern recording techniques, and yet still evoke the silky smooth character of the legendary microphones of the 50s and 60s. These features provide the flexibility and superlative audio characteristics that make the NT2-A one of the most versatile condenser mics available. 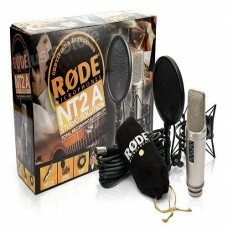 Supplied with the , dust cover, microphone cable and DVD hosted by Grammy-nominated engineer and producer John Merchant showing a range of recording techniques specific to the NT2-A.